Careers Cost > How Much Does Movie Theater Advertising Cost? How Much Does Movie Theater Advertising Cost? Movie theater advertising refers to the ads that are played while an audience is waiting for a movie to start. If you sat in a movie theater before a movie has started, then there is a good chance that you have seen the advertisements run before the movie begins. Most of these are not commercials with storylines or moving and talking characters that you’re accustomed to seeing, however. Movie theater advertisements are like billboards – the name of the company, a catchy slogan, attention-grabbing picture, description of products or services, and a phone number usually make up the advertisement. Because the screen in a movie theater is so large, these advertisements can fit a lot of information. On average, the cost of advertising will depend upon the number of spots you want to run, the duration, the theater and the number of screens within that theater. For the average 10 to 15 screen theater, plan on spending $15 to $30 per movie showing, and the average spot will get around 300 plays per week (300 / 10 screens = “30 plays”), bringing the total to around $450 to as much as $900 per 300 plays. To make things easier, plan on spending $1.75 to $3.25 every time the spot shows. Almost all movie theaters will have a minimum amount of spots you need to commit to. 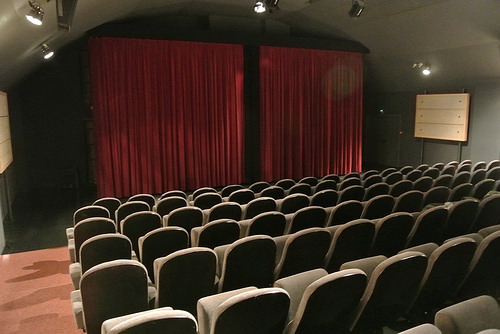 One particular business owner was quoted $1,500 for three showings a day on 20 screens. This would last for four weeks and could reach upwards of 80,000 people. According to someone on LinkedIn.com, they claimed that a 14 screen theater could cost $20 per play. With 392 spots in a week, you could be looking at $280 for the week. VideoUniversity.com claims that the average rate is $18 per screen, per week. A media planner on Quora mentioned his experience with dealing with Cineplex. According to his experience, a 30-second ad, after the lights went out, would cost close to $1,345 per month, per screen. This was the gross amount, but you can negotiate for a better discount. The average spot is going to last 15 or 30 seconds. Like mentioned above, this will be a still screen that describes your business; it can also be a slideshow. However, if you want to, the ad can be extended for more than 90 seconds. With these spots, you are able to choose the exact theaters your want or you can advertise nationwide. With some theaters, you can even advertise during certain movies. For example, if your business has something to do with children, it would be best to advertise in theaters that are playing children’s movies. Some theaters may ask for a certain commitment, which could last upwards of a year. Some theaters will have the information for each advertisement on their website so that customers can have an easy reference to get your information. Not all theaters do this, however. Aside from the traditional advertising often seen before a movie, businesses can also advertise on popcorn bags, tubs, snack packs, and via banners and signs throughout the lobby. If you plan on developing a full 30-second commercial, the costs can be $700 to $3,000 for a very basic commercial. However, advanced commercial shot in HD could be much more. Designing an advertisement will no animations will often cost less than $300 for a decent graphic designer. Some theaters may even include this for no charge. Playing a 30-second spot instead of a 15-second spot can cost double the amounts mentioned above. Aside from screen advertising, other options include posters in the lobby, short 90-second films in the lobby, or logos and designs on the backs of tickets or on drink cups or popcorn tubs. On the downside, many moviegoers rarely remember the spots played before a commercial begins. They are often busy finding their seats or getting popcorn, for example. To get an exact quote for your area, visit ScreenVision.com. Today, the website has ties with more than 14,000 movie theaters. Cinemedia is the next largest company that deals with theater advertising. The audience will not be able to skip commercials. With today’s technology, viewers do not even have to watch commercials during TV shows – they can simply record the show and fast forward through them. In a movie theater, however, they have no choice but to see it on the screen for the allotted amount of time. Movie theater advertising can help you reach a local audience of people who may actually be able to use your service. Many studies have shown that this type of advertising captures attention more than any other media. Call up the various movie theaters in your area and see what they can offer you. Most of them, if they do not work with a larger advertising agency, will be able to email or mail you a media kit. When it comes to advertising in a theater, there are many options from which you can choose from. Play around with the number of screenings and let the theater know about your budget. Most will be more than happy to accommodate your request. With all of the computer programs available today, it should not be hard to create your own advertisement rather than paying someone to do it for you.